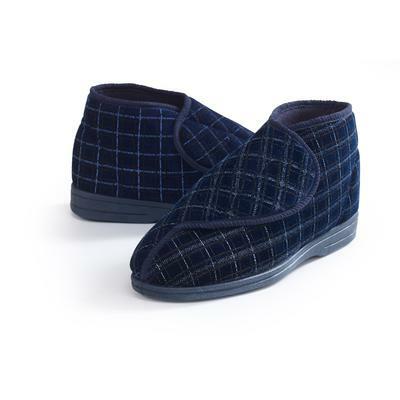 An attractive, neutral navy check slipper for gentlemen, that are comfortable and functional. 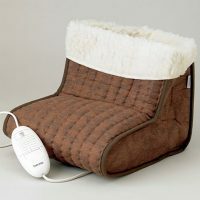 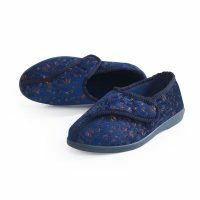 They are styled as an ankle high bootie for warmth and support, with hook and loop fastenings that allow the slippers to be easily adjusted. 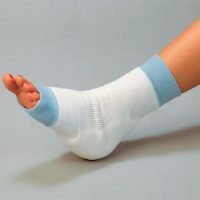 They are machine washable. 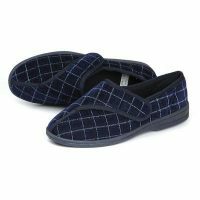 Also available as a slipper shoe.